You are currently browsing the tag archive for the ‘Marian Price’ tag. Old Bailey bomber Marian Price has pleaded guilty to providing a mobile phone linked to a Real IRA attack in which two soldiers were murdered. 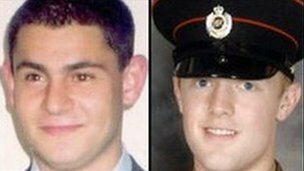 Sappers Mark Quinsey and Patrick Azimkar were killed in the attack at Massereene Army barracks in Antrim in 2009 as they collected pizzas, just hours before they were due to be deployed to Afghanistan. The 59-year old veteran republican also entered a guilty plea to the charge of aiding and abetting the addressing of a meeting to encourage support for terrorism. The charge related to a separate incident at a republican Easter commemoration in Londonderry in April 2011 where Price was photographed holding up a statement for a masked man. Price, from Stockman’s Avenue in west Belfast, was released on continuing bail, to be sentenced next month. Belfast Crown Court Judge Gordon Kerr QC told Price that the fact she was being released was no indication of how she would eventually be dealt with. Price’s trial, which began on Monday, heard that she had links to “dissident republican activity” and must have known that the mobile she bought was to be used to make the call claiming the attack on the Co Antrim base. Prosecutor Tessa Kitson told the court that the day after the Massereene attack, a man contacted media outlets claiming responsibility for it on behalf of the Real IRA. Ms Kitson said that on March 8, 2009, a woman was caught on CCTV purchasing the pay-as-you-go mobile from the Tesco store in Newtownabbey. She said it was the Crown’s case that the woman was Price. Price was questioned about the purchase of the phone but “declined to make any comment in relation to these circumstances and she didn’t identify the person or persons to whom she must have passed this telephone to”. Price had been released early from prison on licence in 1980, but it was revoked in May 2011 on the direction of the then Northern Ireland Secretary Owen Paterson, shortly after the Derry rally. The SDLP had campaigned for her release, arguing that her licence had been revoked on the basis of intelligence rather than evidence that would be admissible in court. Yesterday, unionists called on those who worked towards the release of Price to apologise and “admit they were wrong”. DUP South Antrim MLA William McCrea said the SDLP needed “to find its moral compass”. “This plea leaves the SDLP and other organisations that campaigned for her release hanging out to dry,” he said. However, SDLP justice spokesman Alban Maginness insisted his party position was “right at the time”, adding it would repeat it in similar circumstances. Up to 500 republicans from across Ireland attended the funeral of Old Bailey bomber Dolours Price today. Her sister, Marian, who is in prison accused of dissident republican activity, was not at the service at St Agnes Church in Andersonstown, west Belfast. Price, 62, was an unrepentant republican hard-liner who fell out with Sinn Féin after the party endorsed the peace process, encouraged the IRA to give up its guns and embraced power-sharing with unionists at Stormont. No public representatives from the mainstream republican movement were at the ceremony. In his address, Father Raymond Murray, who had been prison chaplain at Armagh jail, told mourners that Price and her sister were like bosom twins. Price’s father, Albert, had also been a prominent IRA member and was interned by the Irish Government at the Curragh Camp during the 1950s. Black flags were erected on lampposts across Andersonstown today. There was also a visible police presence in the area. Price, the former wife of actor Stephen Rea, was convicted and jailed along with her sister for the 1973 car bomb attack on London’s Central Criminal Court in which one man died and more than 200 people were injured. She spent eight years in jail including several weeks on hunger strike before being released in 1980. In recent years she clashed with Sinn Féin president Gerry Adams over her allegations that he had been her IRA Officer Commanding during the early 1970s. Among those who took part in today’s funeral service was Hugh Feeney, who was also jailed in connection with the Old Bailey bombing. Price consistently claimed that Mr Adams, now a Louth TD, ordered the kidnap and killing of Jean McConville in 1972. The Catholic mother-of-10 was among dozens of people – later known as the Disappeared – who were abducted, murdered and secretly buried by republican militants during the Troubles. Mr Adams has always denied being a member of the IRA. He said he was saddened by Price’s death. 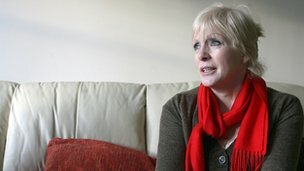 Dolours Price, the IRA Old Bailey bomber who later became a bitter critic of Sinn Féin’s peace strategy, has been found dead at her home in north Dublin. The Garda Síochána are investigating the circumstances surrounding the sudden death of the former Irish republican icon in her apartment in Malahide, although she had been in general ill health. Republican sources confirmed to the Guardian that the former IRA veteran, 62, who was once married to the Hollywood actor Stephen Rea, had died at her home. Price was involved in a car bombing at the Old Bailey in 1973, which injured more than 200 people and may have led to one person’s death of heart failure. 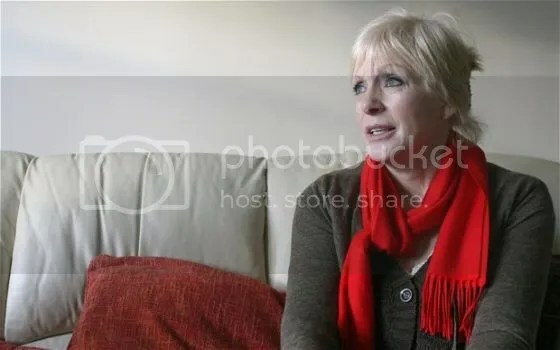 The ex-IRA prisoner, who went on hunger strike with her sister Marion in the 1970s and was subjected to force feeding in English prisons, had struggled with alcohol problems later in life. 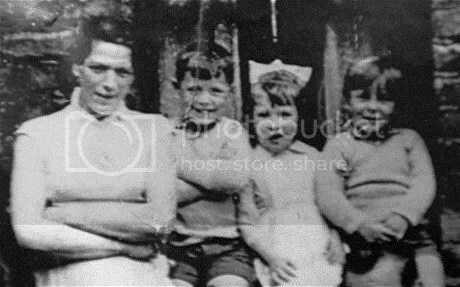 She became an arch critic of Gerry Adams, claiming the Sinn Féin president had ordered her to have one of the most famous victims of the IRA – Jean McConville – abducted from her west Belfast home, murdered across the border in the Republic and buried in secret in 1972. Price alleged that she was given the task of driving McConville, a widow, away from her 10 children in the Divis flats complex to her death on the Co Louth coast. McConville became the most famous of the “Disappeared” – IRA victims whom the organisation killed and buried in secret during the Troubles. Price claimed Adams had set up a secret IRA unit in Belfast to weed out informers both in its ranks and within the nationalist community who were helping the security forces. The Sinn Féin Louth TD, one of the key architects of the Northern Ireland peace process, has consistently denied her allegations. In an interview with CBS television in the United States last year, Price repeated her claims about Adams and McConville. She said: “I drove away Jean McConville. I don’t know who gave the instructions to execute her. Obviously it was decided between the general headquarters staff and the people in Belfast. Gerry Adams would have been part of that negotiation as to what was to happen to her. “I had a call one night and Adams was in a house down the Falls Road and she had been arrested by Cumann [the IRA’s female unit] women and held for a couple of days. She got into my car and as far as she was concerned she was being taken away by the Legion of Mary to a place of safety. Price was unrepentant about her alleged role in the disappearance and death of McConville. Marion Price, also a fierce critic of the direction the IRA and Sinn Féin took during the peace process, is in Maghaberry prison in Northern Ireland, where she is facing terrorist-related charges. 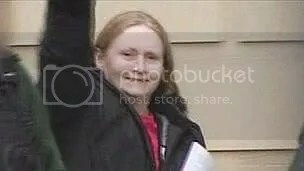 CONVICTED republican terrorist Dolours Price has died suddenly at her Co Dublin home. Gardai are investigating after the veteran republican – and former wife of well known actor Stephen Rea – was found dead from a suspected drugs overdose in Malahide, north Co Dublin. It is understood that the body of Ms Price (62) – was found at her home on St Margaret’s Road in Malahide at around 10pm. Gardai say that there is nothing to indicate suspicious circumstances in relation to the sudden death of the well known Republican activist who had been in bad health for some time. Price – who is believed to have been suffering from post-traumatic stress disorder – was a convicted IRA car bomber who took part in a bombing attack on London’s famous Old Bailey Court in 1973 in which more than 200 people were injured. A post mortem is due to take place on her body at the Connolly Memorial Hospital in Blanchardstown later today. Dolours’ sister, Marian Price, is a known associate of murdered Real IRA boss Alan Ryan. The two sisters joined the IRA following the reintroduction of internment in 1971. Marian Price (58) served seven years in prison for the 1973 Old Bailey bombings but was released in 1980. Dolours was sentenced to life in 1973, but released on compassionate grounds in 1980. In 1983, Dolours married the actor Stephen Rea, who was one of the voices dubbed over that of Gerry Adams during the 1980s broadcasting ban in Britain. The couple, who have two sons together, divorced in 2003. She remained politically active and during the late 1990s spoke out against the Good Friday Agreement. Price later claimed to suffer from post-traumatic stress disorder as a result of being force-fed in jail and attempted suicide on a number of occasions. Dolours herself was a convicted IRA bomber who more recently accused Sinn Fein President Gerry Adams of personally ordering abductions. She had made numerous claims relating to Sinn Fein Leader Gerry Adams alleged IRA membership and terrorist activities. Mr Adams was forced to deny claims made by her that he was a central figure in an IRA decision in the early 1970s to launch a bombing campaign in Britain. She believed the Louth TD betrayed the republic movement by supporting the Northern Ireland peace process. Former IRA bomber Dolours Price described how Mr Adams ordered her to ferry captives, including Ms McConville, across the Border to be murdered. Though Mr Adams vehemently denied the claims, Ms Price also spoke about how he approved the IRA’s bombing campaign in mainland Britain. Ms Price came from a staunch republican background — her father Albert was interned by the Irish government in the Curragh Camp in the 1950s for IRA activity. Her aunt, Bridie Dolan, was also an active republican who was blinded when explosives she was handling went off prematurely. For former IRA bomber Dolours Price, who has accused Gerry Adams of betraying the cause of a united Ireland, republicanism runs in the blood. Today she looks like any other 61-year-old, the type you might pass in the street without noticing, should you be walking through the quiet Dublin suburb where she lives. But the story which Dolours Price has come forward to tell has the potential to derail the process which has brought peace to Northern Ireland for the past 15 years. She claims Gerry Adams, the president of Sinn Fein who helped bring about the IRA’s ceasefire and the Good Friday Agreement, has not always been a man of peace. In fact Price, herself a convicted IRA bomber, accuses him not only of having approved the bombing of targets on mainland Britain – including the Old Bailey – but of personally ordering the abduction of several people the IRA considered to be traitors. Adams categorically denies her claims. It is an extraordinary charge sheet, which has a deep personal motive behind it: she feels that Adams has “betrayed” the Republican cause by being involved in the peace process, and that he has betrayed her and other IRA members by denying he was one of their number. It would be easy, therefore, to say that these are the words of an embittered woman, out for revenge – and indeed, that may be true. But these are claims which she says are contained in recordings which the Police Service of Northern Ireland has gone to extraordinary lengths to obtain, invoking a legal “mutual aid” agreement with the American government to obtain the testimony she – and other former terrorists – gave to researchers working for Boston College in the United States. The college made the recordings with an offer that their contents would be kept secret until the death of the 28 former terrorists from the IRA and its Loyalist equivalent, the Ulster Volunteer Force to whom they spoke. The belief was that the offer would guarantee candour – but it also piqued the interest of the police, when a book based on the recordings of two dead terrorists was published by Ed Moloney, the documentary maker who led the research. The allegation prompted the lengthy legal action. However, Price has agreed to be interviewed about her knowledge of the “disappeared” and The Sunday Telegraph today publishes what she said. Price and her younger sister, Marian, now 59, followed a family tradition of Republicanism. “It is not enough to say we were born to be Republicans, it’s more precise to say Republicanism is part of our DNA,” she said. It was the reintroduction of internment in 1971, when hundreds of Republican activists, along with many who had no involvement with the IRA, were arrested and imprisoned without trial, which led Dolours and her younger sister to join the organisation. She approached Seán MacStiofáin, one of the founders of the Provisional IRA and said she wanted to be a “fighting soldier”, not part of Cumann na mBan, the women’s wing of the republican movement. An IRA Army Council was convened and Price was sworn into the organisation, followed by her sister. Marian Price later boasted how she also used the fact she was wearing a miniskirt to talk her way through a British Army checkpoint after being stopped in a car packed full of explosives. In 1972 the Price sisters rose to prominence in the single bloodiest year of the Troubles. In 1972 alone, 249 civilians were killed as a result of the conflict, among them the 13 victims of Bloody Sunday, along with 148 British security personnel, 70 Republican paramilitaries, 11 Loyalist paramilitaries and one Irish security forces member. Price was adamant that the IRA should target mainland Britain and in particular London. She claims the plan to bomb London was hers and was explicitly approved by Adams, in what she claims was his role as “Officer Commanding” of the organisation’s Belfast brigade. Her plan was presented to Gerry Adams and, she said, discussed and agreed by IRA commanders, before Adams convened a meeting to find volunteers. First there was a botched attempt to firebomb Oxford Street, but then came the serious attack, four car bombs targeting symbols of the British state: Old Bailey, New Scotland Yard, an Army recruiting office in Westminster, and Whitehall. The 300lb bomb outside the Old Bailey went off at 3pm on March 8, 1973, as police evacuated the area. One man, Frederick Milton, 60, died of a heart attack and more than 200 were injured. In Whitehall, 33 were injured; the other two were found and defused. Price and the rest of the terror gang were arrested before the bombs went off, as they tried to board flights and ferries back to Ireland, as police were already hunting them. A police officer later recalled how, at 3pm, Marian Price looked at her watch and smiled. Price remains unapologetic about the use of violence, stating in her memoir: “There were warnings phoned in but people had stood about curious to see, some had even stood at office windows and been sprayed by broken glass when the car went up. 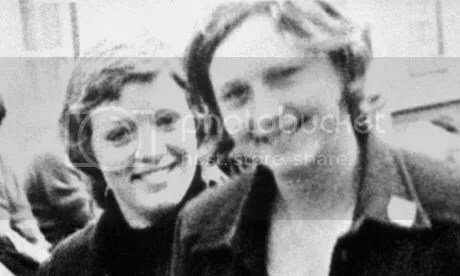 At their trial at Winchester Castle in November 1973, the Price sisters, along with Gerry Kelly – who went on to serve as a Sinn Fein minister in the Northern Ireland Assembly – were jailed for life. The Prices, Kelly and fellow conspirator Hugh Feeney immediately began a 203-day hunger strike, demanding to be transferred to prisons in Northern Ireland. They were eventually moved to Northern Ireland, as part of an agreement struck with the IRA during its truce of February 1975 to January 1976. In 1980 Price was granted the royal prerogative of mercy and the following year was freed on humanitarian grounds, suffering from anorexia nervosa. She had served eight years of the “minimum” 20 years of her life sentence. However, she remained committed to her cause and during the late 1990s spoke out against the Good Friday Agreement. Until now Price, who claims to suffer from post traumatic stress disorder as a result of being force fed, and has attempted suicide on a number of occasions, has said little publicly about her role in the IRA. Between 2001 and 2006 she agreed to be interviewed for the college’s oral history Belfast Project. 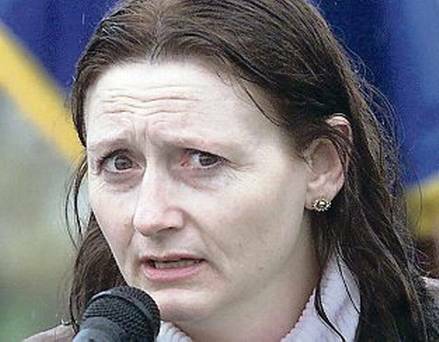 In 2010, she offered to help the Independent Commission for the Location of Victims’ Remains to find the graves of three men abducted and killed by the IRA, Joe Lynskey, Seamus Wright and Kevin McKee – although she has not offered to co-operate with the Police Service of Northern Ireland. Dolours’s sister Marian is currently in prison hospital in Northern Ireland after falling ill while on remand for charges relating to aiding the dissident Real IRA’s campaign of violence. You refer in your editorial (Northern Ireland: keep focused, 28 July) to the case of Marian McGlinchey (nee Price). I should be grateful for the opportunity to set out the facts. Marian McGlinchey received two life sentences in 1973 for her part in the Old Bailey bombing. She was subsequently released on licence in 1980. At the same time she was granted the royal prerogative of mercy (RPM) in respect of a separate conviction which carried a 20-year fixed term sentence. The RPM did not cover her life sentences. All life sentence prisoners remain on licence for life. They can be recalled at any time if they breach the conditions of their licence or pose a risk of serious harm to the public. A similar system was endorsed by the previous government in the legislation to give effect to the part of the Belfast Agreement that dealt with the early release of prisoners. Before revoking a prisoner’s licence under the Life Sentences (Northern Ireland) Order 2001, however, the secretary of state must first seek a recommendation from the wholly independent parole commissioners. This is what I did in the case of Marian McGlinchey; their recommendation was that she was in breach of her life licence. Consistent with my overriding responsibility in Northern Ireland for public safety, and in accordance with the law, she was returned to prison. The independent parole commissioners are now reviewing the case in full. If they are satisfied that it is no longer necessary for the protection of the public that the prisoner should be confined, then they may direct the prisoner’s release. The prisoner has full legal representation and can challenge the case made against her; Marian McGlinchey has yet to do this. The decision of the parole commissioners is final and cannot be overruled by the secretary of state. It would be outrageous for any secretary of state to do anything other than adhere strictly to the law. Yet the clear inference in your editorial is that I should discard due process and interfere politically in this case. That would fatally undermine the rule of law in Northern Ireland. That is not something I am prepared to do. Veteran republican Marian Price is to be examined in prison by two doctors appointed by the UN, a court has heard. She had been due to appear before Belfast Crown Court, but the judge was told she was too ill to attend. She faces a charge of providing a mobile phone to the gang behind the murder of two soldiers at Massereene Barracks in March 2009. The judge agreed to adjourn the matter until 19 June to allow the UN doctors to see her and to make their report. A defence lawyer said arrangements had been made for the doctors to visit the jail next week, after which “hopefully by then there will be a fuller picture” on her condition. Price was jailed for the IRA bombing of the Old Bailey in London in 1973, and last year the secretary of state revoked her release from prison on licence. OWEN Paterson has defended his decision to revoke the licence which allowed Old Bailey bomber Marian Price out of jail under the Belfast Agreement. The Old Bailey bomber was returned to prison last year after intelligence provided to the Secretary of State linked her to terrorism. She also faces a charge in connection with the murders of two soldiers at Massereene Barracks. Last week, a judge dismissed charges against Price and three men arising from an Easter commemoration. Sinn Fein and the SDLP have claimed that she is being “interned” but unionists have supported the decision. On Sunday, the DUP’s Peter Weir said he wouldn’t “be crying too many tears” over Price. Yesterday, in the Commons, Mr Paterson made a carefully-worded statement about “a matter of huge consequence and debate in Northern Ireland” without referring to Price by name. He said that the Parole Commissioners, who are appointed by the Stormont Justice Minister, were responsible for decisions on the release and recall of life-sentence prisoners. “If information is brought to my attention, I share it with the commissioners and seek a recommendation from them regarding whether to revoke a licence. A new legal bid is being prepared to free veteran republican Marian Price after a terror charge against her was dismissed. The challenge will centre on Secretary of State Owen Paterson’s decision to revoke the 57-year-old’s release from prison on licence, her lawyer confirmed. Price, from Stockman’s Avenue, Belfast, was among four defendants to have charges in connection with an Easter Rising commemoration parade in Derry’s city cemetery last year dismissed by a judge. She had been accused of managing a meeting in support of a proscribed organisation. Her three co-accused were released due to delays in preparation of preliminary inquiry papers in the case. But Price remains in custody on a separate charge connected to the murders of two soldiers at Massereene Barracks in Antrim. She denies providing property, including a mobile phone, for terrorist purposes in connection with the killing of Sappers Patrick Azimkar and Mark Quinsey in March 2009. Price had her licence revoked by the Secretary of State almost a year ago. Mr Paterson said at the time that her licence had been revoked because the threat she posed had “significantly increased”. Her lawyer claimed the case against her over the Derry incident was “a central plank” in Mr Paterson’s decision. Kevin Winters said: “One year later we are told today that the charge has been withdrawn. Possible options include issuing judicial review proceedings or a writ of habeas corpus seeking her release from detention. 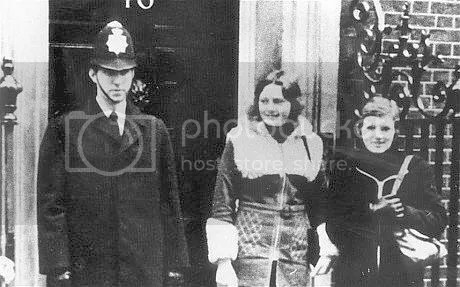 In 1973 Price was jailed for 20 years for her involvement in an IRA bombing campaign in London, alongside her sister Dolours and Sinn Fein minister Gerry Kelly. She is now a member of the 32 County Sovereignty Movement. A Freedom of Information request recently revealed that it cost £194,537 to house Price in Maghaberry prison for a nine-month period, before she was moved to Hydebank women’s prison earlier this year. Price had been sent to Maghaberry, an all-male prison, following her arrest last year but was then moved to Hydebank on the advice of health trust staff. A DUP MLA has criticised the Public Prosecution Service for its role in the case of the veteran republican Marian Price and three others. On Thursday, a court dismissed the charges against her and three men relating to a Republican Easter Commemoration in Derry last year. A judge dismissed the case when it emerged that court papers were not ready. Paul Givan said the PPS has questions to answer. Mr Givan, who chairs the assembly’s justice committee, said he wanted to know why the case has now been dismissed. “The judge has made it clear he’s putting the blame with the Public Prosecution Service (PPS) for not having the proper papers ready and I think it’s for the director of the PPS now to come forward and to explain why his organisation didn’t have those papers ready,” he said. Ms Price and the three men were all charged in connection with a demonstration last year in the City Cemetery during which a masked man made threats against the PSNI. Ms Price was charged along with Patrick McDaid, of Beechwood Avenue, Frank Quigley of Elmwood Road and Marvin Canning of Glendara, all from Derry. Mr Canning is a brother-in-law of Deputy First Minister Martin McGuinness. After being told that preliminary inquiry papers were still not ready, District Judge Barney McElholm released her three co-accused as there was no evidence before him. He said everyone was entitled to a fair trial within a reasonable period of time and he had seen cases involving complicated forensics which had taken less time than this. A prosecution barrister requested a two-week adjournment to allow the papers to be finalised but the judge told Londonderry Magistrates’ Court he would not allow any further adjournments. The judge said that while Ms Price’s case was slightly different, the three men could be released from custody. She remains in custody charged in connection with the murders of two soldiers at Massereene Barracks. She denies providing property for the purposes of terrorism, a charge related to the murders of Sappers Patrick Azimkar and Mark Quinsey at Massereene barracks in March 2009. Ms Price’s lawyer said a new bid to free her would be made. He claimed the case against her over the Derry incident had been “a central plank” in Mr Patterson’s decision. Ms Price was jailed for the IRA bombing of the Old Bailey in London in 1973. Secretary of State Owen Paterson revoked her release from prison on licence almost a year ago. Terrorist charges have been dismissed against four prominent republicans, including Marian Price, over an Easter commemoration parade in Derry. They were all charged in connection with a demonstration last year in the City Cemetery during which a masked man made threats against the PSNI. Price was said to be too ill to attend the hearing. Price was due to appear at Derry Magistrates Court alongside Patrick McDaid, of Beechwood Avenue, Frank Quigley of Elmwood Road and Marvin Canning of Glendara. A prosecution barrister requested a two-week adjournment to allow the papers to be finalised but the judge said he would not allow any further adjournments. The judge said that while Price’s case was slightly different, the three men could be released from custody. Price was jailed for the IRA bombing of the Old Bailey in London in 1973. Secretary of State Owen Paterson revoked her release from prison on licence almost a year ago. Price’s lawyer said a new bid to free her would be made. He claimed the case against her over the Derry incident had been “a central plank” in Mr Patterson’s decision. Up to two hundred people attended a rally in Derry on Sunday to campaign for the release of Marion Price. Last year the Secretary of State Owen Paterson revoked her licence after she was charged in connection with a dissident republican rally in the city last Easter. Those taking part in the protest walked from Free Derry Corner to Guildhall Square. A number of speakers attended including Marion Price’s husband Gerry McGlinchey. Mr McGlinchey called for the secretary of state to release her. “He has not made clear in any way what threat she poses. I don’t think she poses any threat. “He refuses to say what evidence he has. There’s no case to fight because nobody knows what she’s charged of,” he said. Foyle SDLP MLA Pat Ramsey is to meet with the secretary of state over the imprisonment of Marion Price. He said a party delegation will also meet the Justice Minister David Ford this week. “It is fairly obvious that 12 months of solitary confinement has taken its toll. The SDLP are of the opinion she should be released. “There is something not right if we have senior consultants telling us this lady should be in a hospital environment and the justice minister is being told something else,” he said. Former Fianna Fail minister Éamon Ó Cuív has added his voice to a campaign for the release of a high-profile republican dissident, former Sinn Fein Ard Chomhairle member Gerry McGeough. Mr McGeough from Tyrone, a father of four, was arrested leaving a count centre in Omagh in 2007, having stood as an independent republican candidate in the Six County Assembly elections. He stood trial last year on IRA charges dating from 1981, and is now serving 20 years at Maghaberry prison. made numerous appearances on television and radio programmes in advance of his arrest. Campaigners have also raised concerns about McGeough’s health. He has had five stents inserted after a series of heart attacks, and a prison doctor has said that, due to his health, he should not be in prison. Mr Ó Cuív spoke at a press conference this week with the Gerry McGeough Justice Campaign, Irish-American campaigner Fr Seán McManus and members of McGeough’s family. He said part of the Weston Park agreement signed in 2001 between the Dublin and London governments dealt with the issue of outstanding prosecutions. It accepted that prosecutions for offences that would benefit from the early-release scheme should not be pursued. “Unfortunately this legislation was never passed in Westminster and the matter has been left in abeyance,” Mr Ó Cuív said. “However, I believe that the agreement should still be implemented.” He said the event involved happened 31 years ago, and Mr McGeough had always supported the peace process. He had returned to Ireland, gone to Trinity College Dublin and “lived and worked peacefully”. “All we are asking for is for the Weston Park agreement to be acted on and for Gerry to be released immediately,” Mr Ó Cuív said. Members of Sinn Féin, republicans and a number of human rights organisations joined Mr O Cuív in the pre-Easter meeting to demand that McGeough be freed. His 11-year old daughter Una issued her own personal plea at the press conference. ”Everybody tells us that life at home is better now because of the peace process, but our lives are very sad. Why is there no peace process for us? Why is only our family being punished? We want our daddy home,” she said. A major rally challenging the continued internment of Marian Price is to be led by Father Raymond Murray next weekend. The former prison chaplain will speak at the event at Derry’s Guildhall Square on Sunday April 22. The rally will follow a procession through the city from Free Derry Corner at 2.30pm. Rally organisers say the relaxation of Price’s prison conditions was a result of pressure applied by a meeting attended by hundreds of people in Derry and believe her continued confinement is “in direct conflict with current human rights legislation”. ”Owen Paterson sent Marian Price back to prison following the revocation of a supposed life licence. She was released from prison close to death in 1980,” they said in a statement. ”Mr Paterson conveniently overlooked the fact that Marian Price received a Royal Prerogative of Mercy [pardon] shortly after her release. They are challenging the claimed “loss or shredding” of Ms Price’s pardon, which her legal team believe would secure her release. ”Owen Paterson has no mandate in the north of Ireland nor is he accountable to the people here yet he can disregard the rulings of two judges and keep Marian Price in prison,” the statement read. ”This scenario raises questions about the justice powers devolved to Stormont and the judiciary as well as the independence of this branch of government. Marian Price’s mental state has left her unfit to face trial following an assessment by prison doctors, it has been claimed. The Old Bailey bomber who is being held at Hydebank, south Belfast after her release licence was revoked almost a year ago also needs outside care, Northern Ireland Justice Minister David Ford has been told. Jennifer McCann, a Sinn Fein member of the justice committee at Stormont who met the minister in Belfast, has demanded she be freed. She said: “The doctors have also stated that she is not fit to participate in any legal proceedings. The fact that she has twice been released on bail by senior judges, who have seen evidence not available to her solicitors, raises the question, how is she a threat to anyone? Price, from Stockman’s Ave, Belfast, who served time for her part in the IRA bombing of the Old Bailey in London in 1973, was re-arrested by police last May following an Easter Commemoration rally by dissident republicans at Derry’s city cemetery where she held paper to enable a masked man to read a speech. She was later accused of encouraging support for an illegal organisation and granted bail. But Secretary of State Owen Patterson moved immediately to revoke her release licence. Price has since been charged in connection with the murders of two soldiers in March 2009 – a charge which she also denies. A demonstration is to be held in Derry to highlight the ongoing detention of Marian Price and Palestinian hunger-striker Hana al-Shalabi. Organised by Palestinian solidarity campaigners and the Prisons Crisis Group, the demo will be held at 5pm on March 21 in Guildhall Square. Betty Doherty, spokesperson for the Prisons Crisis Group said: “Our group has been focused on prisoners in the North and particularly Marian Price. “But the parallels with Hana’s case are striking. Both are in prison without charge or trial on the say-so of politicians. That is to say, both are political prisoners who have felt compelled to resort to hunger-strike to make their situation known and their voices heard. Sinn Fein have said Old Bailey bomber Marian Price has refused to meet them during a visit to Hydebank women’s prison. The party’s MLAs Sean Lynch and Jennifer McCann visited the jail on Wednesday with a view to meeting Price. They said Price had refused to meet them, but that they had met with prison officials and inspected “her living conditions”. Last month, Price was moved to Hydebank from Maghaberry jail. “We visited Hydebank today and repeat our call for the immediate release of Marian Price,” the Sinn Fein MLAs said. “Given the fact that she has been bailed on the charges she was originally arrested for, there is no justification whatsoever for her continued detention. “Sinn Fein is against the revoking of licenses and if there is any evidence against someone it should be brought before a court of law. The prison service has told the BBC previously that the decision to move Price to Hydebank was taken on clinical advice from healthcare staff at the South Eastern Trust. It said that since being returned to prison last year, the prison service and the trust have, on a number of occasions, discussed and reviewed her needs while in custody. Price was returned to prison last May after appearing at a dissident republican rally in Derry and has since been charged in connection with the murders of two soldiers at Masserene in March 2009, a charge she denies. LAWYERS FOR Marian Price will next week launch judicial review proceedings in the High Court in Belfast asking for her release from prison on the grounds that Northern Ireland Secretary of State Owen Paterson had no authority to order her detention. 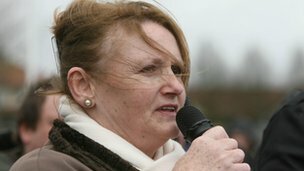 The veteran republican was detained in May 2011 when Paterson signed an order declaring that she had breached the terms of the licence on which she’d been released in 1980 from two life sentences and a 20-year term imposed for IRA bombings in London, including the bombing of the Old Bailey, in March 1973. Around 180 people were injured in the blasts, mainly by flying glass. One man died from a heart attack. Price’s elder sister, Dolours, and Gerry Kelly, now a minister in the Stormont Executive, were among the 10-strong IRA bomb team. Lawyers for Price, who is 57, say that she was pardoned rather than released on licence and that Paterson exceeded his authority in sending her back to prison. Paterson’s barristers contest this, but have told a panel of parole commissioners that “extensive searches” have failed to locate a copy of the document on which she was released. Price was the only female detainee in the high-security Maghaberry prison in Co Antrim from May 11th last year, when she was charged with encouraging support for an illegal organisation. In recent days, she has been moved to the female wing of Hydebank prison. 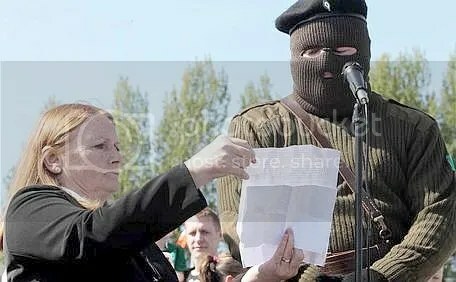 The charge arose from an incident during the 32-County Sovereignty Movement’s Easter commemoration in Derry city cemetery when she held up the script from which a masked man read the Real IRA’s “Easter Message”. The 32-County Sovereignty Movement, of which Price is secretary, is widely regarded as the political wing of the Real IRA. Opposing bail, a detective sergeant told the court in Derry that the Real IRA statement had “threatened assassination against anyone from the nationalist or republican community who may be perceived by the IRA to be a traitor.” He agreed that Price had maintained during questioning that she had not known the content of the statement in advance. Granting bail, District Judge Barney McElholm said that there was no evidence that Price had had prior knowledge of the “vile and objectionable” nature of the statement, nor any record of absconding. Price was rearrested as she left the dock on the basis of the order signed by Paterson the previous evening. In Maghaberry two months later, Price was further charged with “providing property for the purposes of terrorism” – allegedly supplying a mobile phone subsequently used in connection with the Real IRA gun attack in which two soldiers were killed outside Massereene barracks in Antrim in March 2009. Price had been questioned for two days about this allegation in November 2009 and released without charge. Her lawyers say that there had been no change in circumstances in the interim and that no new evidence had emerged. They suggest that the charge was brought so as to pre-empt their planned challenge to the validity of the detention order. An attempt to have the Massereene-related charge ruled out as an abuse of process was postponed until the question of the extent of the pardon has been settled. Price’s lawyers say that it is unreasonable to expect her to have retained a legal document from 30 years ago and that the fact that she didn’t should not be used against her. The judicial review proceedings are aimed at overturning the January 30th ruling. Lawyers for Price will ask the High Court to endorse instead their view that “the onus is on the detaining authority to prove the legality of the detention . 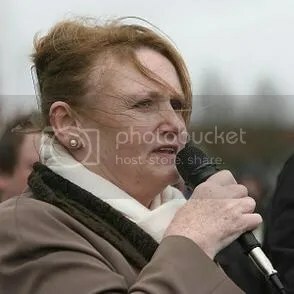 . . Mrs McGlinchey should be discharged as the authorities cannot establish that she is, in fact and in law, on licence.” Price’s association with “dissident” republicans has deprived her of support from many who might in other circumstances have rallied against her detention on a minister’s say-so and the perceived lack of due process. Little has been heard from civil libertarians or from women’s groups. Demonstrations have been tiny. There has been scant media coverage. Marian Price first came to public attention in 1973 when, aged 19, she, her sister Dolours and eight others were charged with being part of an IRA unit which planted four bombs in London. Sentenced to life, she, Dolours, Hugh Feeney and Gerry Kelly – now a Stormont minister – spent more than 200 days on hunger strike seeking political status. She was force-fed 167 times. From one of the best-known republican families in Belfast – her father Albert had been in the IRA in the 1940s – she was active in the mainly-student People’s Democracy before becoming one of the first women admitted as a full member into the IRA. Released in the 1980s, she remained politically uninvolved until the 1990s when she emerged as one of the most vocal republican critics of the Sinn Féin “peace strategy”. Revoking her licence last year, Northern Secretary Owen Paterson said that the threat which she posed had “significantly increased”. Old Bailey bomber Marian Price has been moved from Maghaberry to the women’s prison at Hydebank outside Belfast. On Thursday night a priest described her continuing detention as a form of internment. The claim has been “entirely refuted” by NI Secretary Owen Paterson, who revoked her release licence last May. The prison service has told the BBC the decision to move Price was taken on clinical advice from healthcare staff at the South Eastern Trust. It said that since being returned to prison nine months ago the prison service and the trust have, on a number of occasions, discussed and reviewed her needs while in custody. 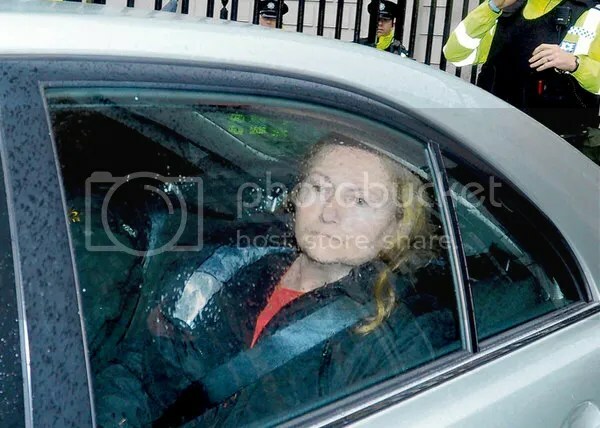 She was returned to prison last May after appearing at a dissident republican rally in Derry and has since been charged in connection with the murders of two soldiers at Masserene a charge she denies. A meeting of supporters campaigning for her release was held in Derry on Thursday night. Former prison chaplain Monsignor Raymond Murray said Mr Paterson’s decision had echoes of the past for nationalists. “This is a form of internment,” said Monsignor Murray, who was prison chaplain in Armagh for almost 20 years. “I am just shocked that the secretary of state wouldn’t be aware of how seriously nationalist people look on internment. “We thought it had all ended and here it is coming under a form of revocation, revoking a license. “He would have to explain to us and explain the process of law as regards Marian Price. On Friday, Deputy First Minister Martin McGuinness also criticised her detention. “That action by Owen Paterson amounted to detention without trial and runs contrary to natural justice,” he added. However, the Northern Ireland Office said: “Following a recommendation from the independent parole commissioners, the secretary of state revoked Marian McGlinchey’s licence on 15 May 2011. “In accordance with the provisions of the Life Sentences (Northern Ireland) Order 2011, the secretary of state may revoke a licence where it is necessary for the protection of the public from serious harm and to prevent the commission of further offences. “Those released on licence have an obligation to act within the terms of their release. “Mrs McGlinchey has been charged with two offences under the Terrorism Act 2000, one of which is in connection with the Masserene murders. “In these circumstances, and considering the need to protect the public, Mrs. McGlinchey’s licence was revoked. An independent panel of parole commissioners is now considering her case. “The secretary of state entirely refutes the allegation that this is internment without trial. Justice committee chair Paul Girvan of the DUP, said claims of internment were “reckless and dangerous” and said he supported the action taken by Mr Paterson. “It feeds the propaganda of dissident republicans who want to take Northern Ireland back to our troubled past,” he said. Commenting on Price’s move to Hydebank, Mr Givan questioned her placing in Maghaberry – an all-male prison. The continued detainment of alleged dissident republican Marian Price has “unintentionally provided a recruiting tool” for dissident republicans, an SDLP MLA told the assembly on Monday. Pat Ramsey tabled a motion calling on Justice Minister David Ford to liaise with the Secretary of State to review the conditions of her detention. Price has been in custody in Maghaberry prison since May 2011, when Mr Paterson revoked the release from prison on licence of the Old Bailey bomber. “This action provided the dissidents the opportunity again to rouse the long-held suspicion of the British justice system imposing its role on the people across Northern Ireland,” Mr Ramsey said. Ms Price, also known as Marian McGlinchey, had been charged with encouraging support for an illegal organisation, the IRA, following a dissident republican rally in Londonderry on Easter Sunday. The judge granted her bail on that charge, although her licence was later revoked. Speaking at the time, Mr Paterson said he made the decision because the threat posed by Price had “significantly increased”. Before members discussed the motion, Speaker Willie Hay warned that nothing could be said which would jeopardise the current prosecutions with the courts. Sinn Fein’s Jennifer McCann said her party had attempted to get an amendment to the motion to acknowledge republican prisoner Martin Corry. She said she saw Price’s case as “tantamount to internment without trial”. The DUP’s Paul Givan, who is also chair of the justice committee, said the motion was “irresponsibly tabled by the SDLP”. “Mr Ramsey not once commented on Marian Price’s history and why her licence has been revoked,” he said. He added that the secretary of state had a “duty to protect the wider interests of society”. Price was jailed for the IRA bombing of the Old Bailey in London in 1973. She was released on compassionate grounds in 1980. Police believe that at least two more people, including one of the Old Bailey bombers, were involved in the shooting of two British soldiers at the Massereene barracks in Northern Ireland. 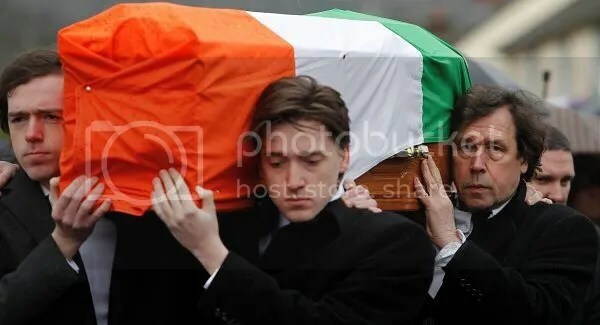 Dissident Republican Brian Shivers, from Magherafelt, Co Derry, was found guilty of the shooting of the two soldiers in March 2009 and the attempted murder of six others. Shivers, 46, suffers from the genetic lung disorder cystic fibrosis and was told in 2008 that he had five or six years to live. He was sentenced to life imprisonment. Police believe that Marian Price, the Old Bailey bomber, and one of the sons of notorious Republican terrorist, Dominic “Mad Dog” McGlinchey, were also involved in the shootings. The soldiers were wearing desert fatigues and were to be deployed to Afghanistan the next day. The Real IRA claimed responsibility. Old Bailey bomber Marian Price, 57, has been charged with providing a mobile phone for the Massereene gang. A former IRA hunger striker, she was jailed in 1973 along with her sister Dolours and six others for her role in a republican bombing campaign in London. Price is a prominent member of the 32 County Sovereignty Movement, a political group linked to the Real IRA. One person died and almost 200 were injured in two car bombs which blew up outside the Old Bailey and Yard in March 1973. It has also been claimed that police have “reliable” information that one of McGlinchey’s sons was the getaway driver during the murders at the Massereene Barracks. They have arrested and questioned both Dominic McGlinchey jnr, 34, and his brother Declan, 35, about the killing. The brothers are sons of the former IRA terrorist and INLA leader who was assassinated in a phone box in the Irish Republic in 1994. Shivers spoke of his friendship with Dominic McGlinchey jnr, and said McGlinchey had visited his house five to six times the week before the Massereene shooting because he said he was moving to Galway in the Irish Republic. McGlinchey has indicated his intention to make formal complaints to the Director of Public Prosecutions and the Police Ombudsman over the references about him made in open court. The weapons used in the Massereene attack appear to be from old IRA stocks that should have been decommissioned. Key evidence survived because the terrorists abandoned their getaway car before managing to set it on fire. DNA testing – fiercely contested by the defence – linked Duffy to the tip of a latex glove found in the abandoned getaway car and Shivers to a matchstick and mobile phone. Judge Anthony Hart, who was sitting without a jury, told the court that he was satisfied that Duffy’s DNA was found on the glove fragment and on a seat buckle but he said the prosecution had failed to link the defendant to the murder plot. The shooting took place at around 9.40pm on March 7 2009, when four off-duty soldiers from 38 Engineer Regiment went to collect pizzas at the gates of the barracks near Antrim. As they paid for the take-aways, two gunmen stepped out of green Vauxhall Cavalier parked in a side street and opened fire. The shootings were the first British military fatalities in Northern Ireland since Lance Bombardier Stephen Restorick was shot dead by a sniper in South Armagh in February 1997. Two days after the Massereene shooting, PC Stephen Carroll was shot dead in Craigavon, County Armagh as he answered and emergency call. It was the first killing of a police officer in Northern Ireland since 1998. The killings provoked unique condemnation from both sides of the political divide for the first time in the history of the province.